This executive style set is made of varnished teak. Inside, the points are inlaid and the cups are finished in a leather grain PVC. 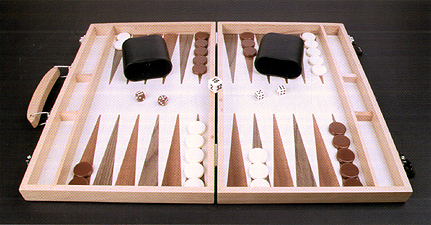 The set includes a set of high-density plastic stones, dice and comprehensive rules.